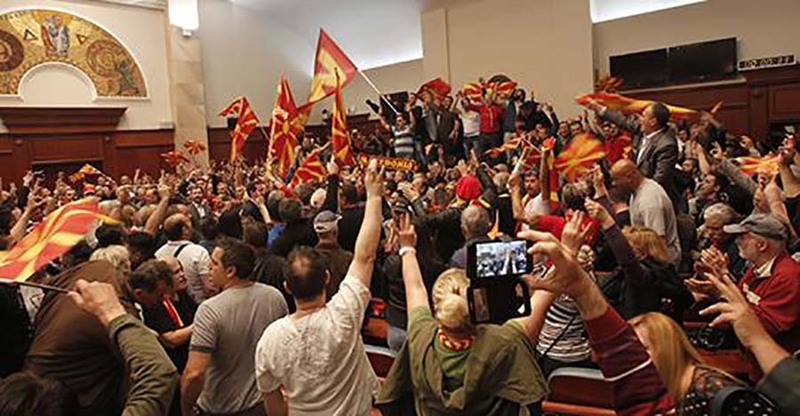 PM Zoran Zaev, former Health Minister Nikola Todorov, Interior Minister Oliver Spasovski and MP Vesel Memedi testified at a hearing in a Skopje court about the incidents in the parliament of Macedonia that occurred on 27 April 2017. The defendants also attended the hearing, in order for he witnesses to be able to state whether or not they were in the Parliament on 27 April 2017. During his testimony, PM Zaev said that he recognised defendant Igor Jug, claiming that during the time of the incidents he was present in the parliament. “Yes, I recognise this man. Not only that he has no hair on his head, he also did not have the courage to shoot me dead in the Parliament that day,” Zaev said. This statement was immediately followed by a reaction from Jug. “You just give me a chance and I will prove that I actually have the courage to do such a thing,” Jug said, after which he was warned by Judge Dobrila Kacarska that his statement is actually concealing a life threat against Zaev. The next hearing about the 27 April Parliament Incidents will take place on 13 September.